Your brand. Your publication. Your organization. That’s my philosophy when I work with clients on freelance writing and editing projects. I listen carefully to what you want, and then work diligently on your project to deliver it on deadline and within budget. If you’ve got too much writing or editing to do, and not enough time—or if you know you need to develop copy but don’t know where to start—let me help ease your stress and your workload. I look forward to helping you move your business or publication forward. Here are a few places where my work has been published. 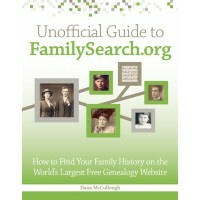 I’m also the author of the Unofficial Guide to FamilySearch.org. The book is available on Amazon.com and ShopFamilyTree.com, as well as from other book retailers.